Thinking about a career in nonprofits? 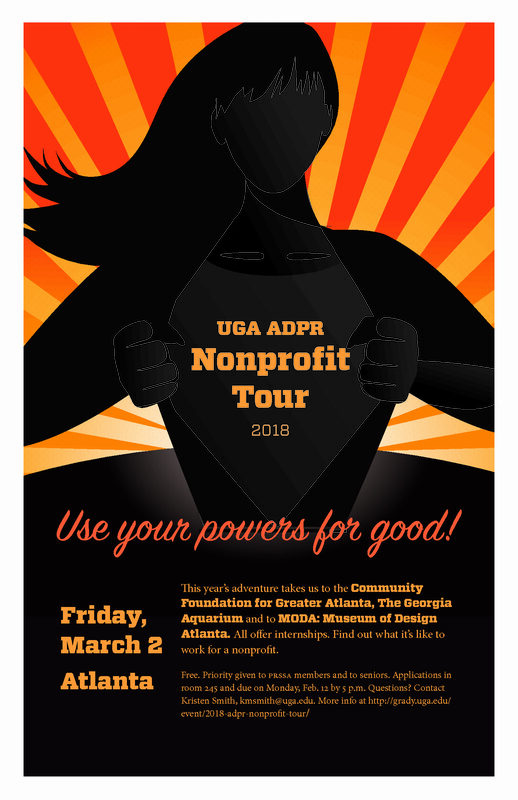 Consider applying to go on the 2018 ADPR Nonprofit Tour, which will be on Friday, March 2 in Atlanta. We will visit the Community Foundation for Greater Atlanta, The Georgia Aquarium and MODA: Museum of Design Atlanta. The three organizations offer internships. We will hear from communication professionals about working for nonprofits. Can you make a living? Can you maintain your passion for the organization’s mission? Find out and bring your own questions.